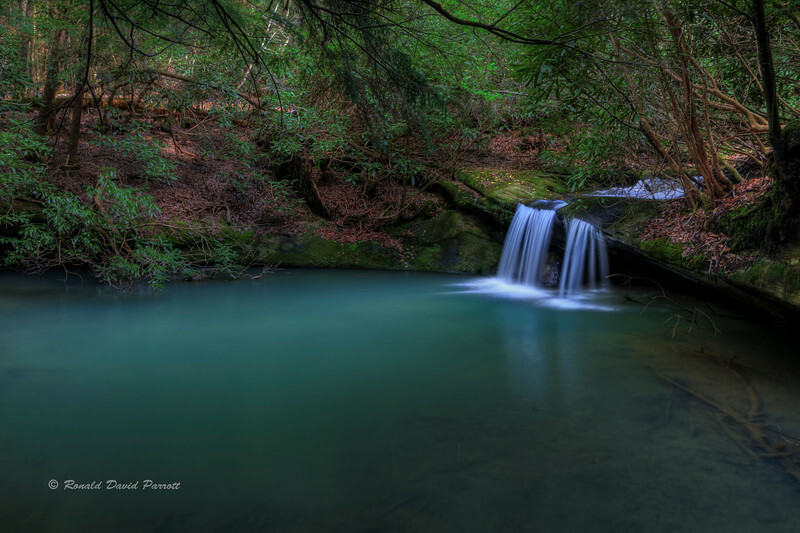 This one of the smaller waterfalls along the trail to Vanhook Falls in Laurel County, Kentucky. Most of the time the trail runs parallel with Pounder Branch. However, this waterfall is located on a branch of Pounder Branch. It is the second of several waterfalls beside the trail, and is usually referred to as the 2nd Falls On Branch Of Pounder. It is easy to access, and is a popular cooling off spot.